Details of groundbreaking new design aimed at breaking world monohull records. In 2008 world-renowned adventurer Richard Branson tried to break the current transatlantic monohull sailing record of 6 days, 17 hours, 52 minutes, 39 seconds on his 100’ Super-Maxi yacht Virgin Money, but had to abandon his attempt when the boat started to break apart in the middle of the ocean. So, is it possible to beat what Branson calls "one of the greatest records of all"? Can a sailboat reach speeds in excess of 50 knots in stormy open-ocean conditions? Is it possible to cover 1,000 miles in a single day under wind power alone? Can the performance gap between offshore monohulls and multihulls be bridged? Radical boat designer Vlad Murnikov believes the answer to all of these questions is yes and is assembling a new international team of designers, engineers, adventurers, and sponsors to prove it. "The SpeedDream Team," says Murnikov, will comprise specialists with diverse expertise in offshore racing yachts like Volvo 70 and Open 60, multihull and powerboat design, hydrodynamics, structural engineering, and advanced composites." The team's two-year quest is to build the fastest monohull sailboat on the planet. "Not simply to beat the existing transatlantic record," Murnikov says, "but to shatter it by more than a day! And then we'll go on to challenge other world records like the transpacific and nonstop circumnavigation records." Murnikov is certain that, with the right crew and weather conditions, his boat will cross the Atlantic in record time reaching top speeds in excess of 50 knots. "With sustained speeds averaging 40-45 knots, SpeedDream^ will certainly break the 24- hour monohull speed record and could conceivably break the 1,000-miles-in-a-day barrier. No other sailboat has ever come close to this before," he says. Murnikov was designer and project leader of FAZISI, Russia's first-ever entry in the Whitbread Round the World Race, /the/ premier oceanic sailing competition in the world, now known as the Volvo Ocean Race. 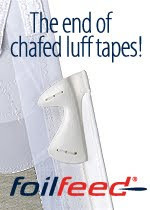 In the 1989-90 Whitbread Race, not only did the remarkable FAZISI with its crew of novice sailors, overcome impossible odds to place 11th in a field of 23, it posted the next-to-longest 24-hour run racking up a then-incredible 386 miles in a single day. Murnikov says his unique SpeedDream concept improves upon the once revolutionary FAZISI blueprint and advances the scientific art of boat design into uncharted territory. Taking full benefit of cutting-edge ideas, materials, and technologies, his finished boat will feature an extremely light 100 feet long hull weighting only 18 tons. It's slender triangular shape with super-sharp wavepiercing bow will possess extremely low water resistance and will cut through waves without pitching, slamming, or slowing. Awesomely high speed will result from efficiency, not just raw power. 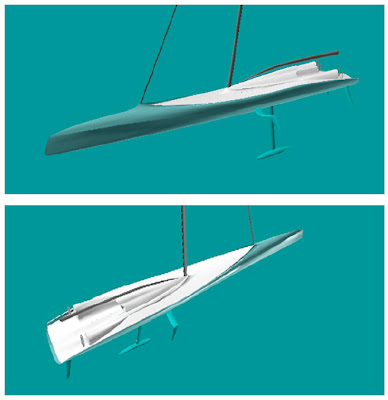 A canting keel on an 18-foot strut and specially designed hydrofoils will provide ample stability to carry a generous sail plan on a 120-foot carbon fiber mast. Since, at fast speeds, the deck will submerge frequently, it will be sculptured to shed water quickly, reduce resistance, and provide sufficient protection for the crew. 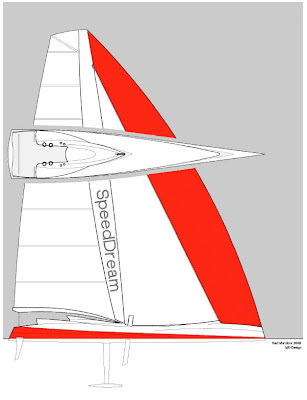 Other aspects of the SpeedDream project are as innovative as the boat’s design. Novel TV coverage is envisioned to maximize sponsor exposure and marketing return on investment. Equally original will be SpeedDream's approach to crew selection and training, ensuring that the best international sailing talent will be on board to unleash the craft’s ultimate potential.